How did you get your start as an editor? I was editing Buffy the Vampire Slayer, Smallville, and Alias fan montage videos to music before I knew what editing was. I did it because I thought it was fun. This was before everyone published everything to YouTube and I edited them for myself to watch and no one else. I still have those videos. My true start came after I moved to Los Angeles. It took me a while to find my first production assistant jobs but once I had them, I quickly was able to get hired as an Assistant Editor for E! Entertainment. I worked hard and learned everything on the job. 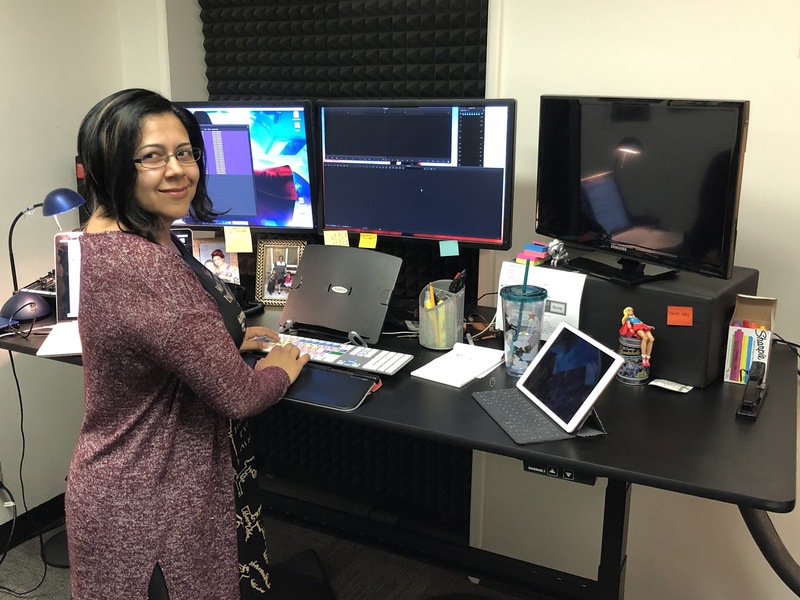 I asked the editors questions and continued to let people know of my desire to edit and my post supervisor was able to convince the producers to hire me on to edit montages for G4’s coverage of E3 and San Diego Comic Con. Editing those montages was one of my first professional jobs as an editor. What project are you most proud of and why? There are two that I must mention as I have had a revival of my editing career in scripted television. Years ago I edited a documentary about the original Scream Trilogy called “Still Screaming: The Ultimate Scary Movie Retrospective.” Scream came out when I was a teenager and is one of my favorite films. It was scary and smart and fueled my love of the horror genre. Working on the documentary was a wonderful and creatively collaborative experience with director Ryan Turek and producer Anthony Masi. I would edit the documentary at night while working during the day as Lead Editor on the E! Red Carpet coverage of awards season, not to mention that I had a young child and I was 8 months pregnant with my second child. Ryan and Anthony were understanding of my time and worked with my other obligations to finish the documentary and make something that we are all very proud of, especially as fans of the original movies. The other project was the editing work I completed on the scripted television science fiction show, Colony. It is a smart, well-written drama about alien occupation that is very grounded in the experience of the human characters. I had to take a step back to assistant editing to transition into scripted television and my editor on Colony, Jack Colwell, is very supportive of my desire to edit again. We edited an episode together in Season 3 and it is my first editing credit on a major scripted television show. I am very proud of the scenes that I cut and had a wonderful time working with Jack. How do you prep before a big project? The most important thing is to relax before a big project. I want to be refreshed before I dig into something new. If there are previous episodes or the project is based on other material such as a novel, I will try to read the book or watch previous episodes to get an idea of what the story is about. I will do some research online but I don’t spend too much time on it. The most important thing for me is to come in with an open mind and a healthy mindset. What’s a keyboard shortcut you can’t live without? I have to pick just one? There are too many to name. I mostly use the keyboard for my editing. Very little dragging with the mouse. Replace edit, show sample plot, audio scrubbing, multicam, match frame, view source in timeline…the list goes on. How do you keep yourself fueled when you’re in an epic edit session? Lots and lots of water. I also like peppermint tea and I am a big fan of smokehouse almonds. Stretching is also good for keeping the energy levels up. Where do you turn for creative inspiration? Anything and everything. I listen to music. I look at art. I collect art prints from artists at comic conventions and I have them up in my office. I’ll watch dance performances. When I was younger I choreographed for my school dance department and danced as well. There is something about abstract art forms such as dance, drawings, and music that sparks my creativity. What do you do when you start feeling creative burnout? I give myself a break. I have found that what works for me is to focus on the things that give me joy. I will do things that are completely for myself and no one else’s satisfaction. I will read novels, play with my kids, enjoy a good video game, enjoy a live performance such as Cirque du Soleil or play a board game. What’s your favorite film and/or TV series? 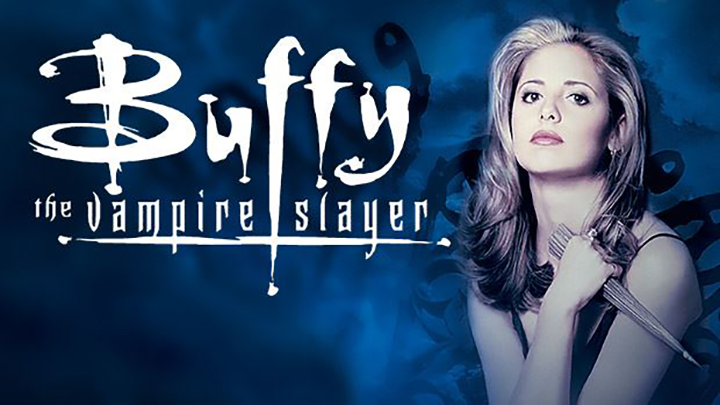 My favorite television series are Buffy the Vampire Slayer and Penny Dreadful. I was around the same age as Buffy as she was experiencing everything throughout the series, so I could relate to the issues of growing up in that age range. Plus, she was a badass who made mistakes and learned from them. Penny Dreadful was a beautiful, gothic story about the darkness within people. It stayed away from the obvious cliches of the horror genre. It was a sophisticated drama that happened to have vampires, werewolves, and witches. The storytelling of the show is subtle and in your face all at the same time. If you could collaborate with any director/producer/editor living or dead, who would it be and why? I would love to work with Danny Boyle and Guillermo Del Toro as directors. I love their work and the unique vision they have in their projects. Any chance I get to collaborate with Editor Jack Colwell and Editor Byron Smith, ACE (both of whom I have worked with), is an opportunity I would welcome. They are both brilliant editors and very generous collaborators. It was a joy to work with both of them. What career and/or life advice would you give your younger self? It’s okay to ask questions and it is also okay to make mistakes. Learn from the feedback on cuts. Also, taking care of your physical and mental health is a high priority and very important for a good life and successful career. What’s your go-to Boris FX plug-in (Continuum, Sapphire, Mocha Pro) and effect/feature and why? The blend modes in Continuum are fantastic. I am also a big fan of the lighting effects in Sapphire. I have used all sorts of lighting effects on the sci-fi shows that I work on for temp VFX. I also heavily used Sapphire lighting effects in my work on the E! Live from the Red Carpet show opens.